100 official episodes! Thank you! 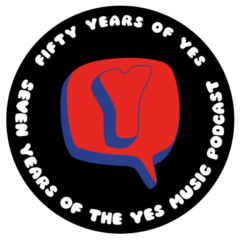 The one hundredth episode of the Yes Music Podcast, featuring feedback from listeners. What a journey! There are now 100 ‘official’ episodes of the YMP and this one contains some very special feecback from listeners all over the world. Listen out for a couple of musical additions and let me know what you thought. Here’s to the next 100 episodes and thank you so much to everyone who has commented, listened or contributed in any way so far. Congratulations, here’s to 100 more! Thanks! How exciting to start three figures! Enjoyed #100. Thanks for sharing my story. I hope you will use that great musical tribue as bumper music in future episodes. Thanks, Jamie. I will indeed use that bumper. It would be mad and rude not to! It was great to listen to all those wonderful tributes. For me, the best thing was that they were all different and yet specific with their praise of your excellent work. Thanks once again, Jeremy. Brilliant people like you and it was really touching!